We were looking for an alpaca just like Maple Sugar to add to our foundation herd. Sugar brings the rare and great Canadian genes of SUPER SAM, Ravero, Amadeus, Javier, and also the AOBA champion, White Lightening. She also is carrying some of the NEWEST genetics in North America from the Australian Jolimont herd - one of the best in Australia. With her fabulous look, soft, crimpy, LONG fleece, and stunning head we can't say enough about this girl. 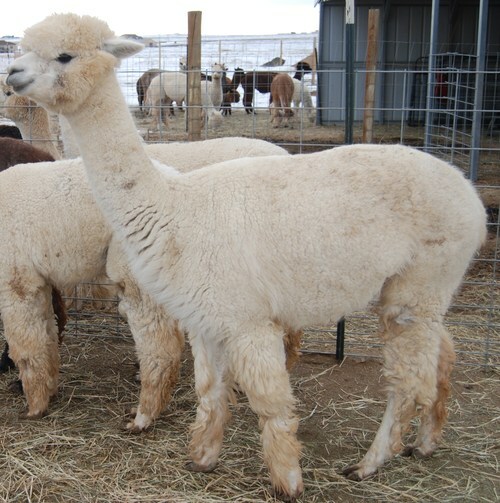 She has produced 4 beautiful black female cria, with beautiful fleece and conformation, the BEAUTIFUL Super Sam Head plus the highly sought after Austrailian Jolimont Genetics. 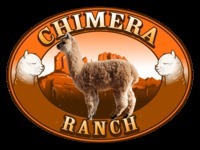 Her 4th cria, Chimera's Ebony Lace is so black and dense, her skin actually appears black. A White female from some of the best genetics in the world, that produces black, a dream come true for our breeding program..